The Mountain in his mind's eye, originally uploaded by The Bacher Family. 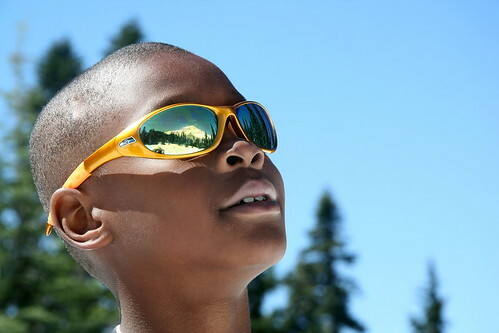 This young man was a participant in Mount Rainier National Park's Camping Adventures with My Parents (CAMP) program in early July. I snapped this picture of him looking up at the Mountain as we hiked the Nisqually Vista Trail, which was still almost entirely covered by snow. I'm really pleased with the color, lighting, focus, and framing of this shot. 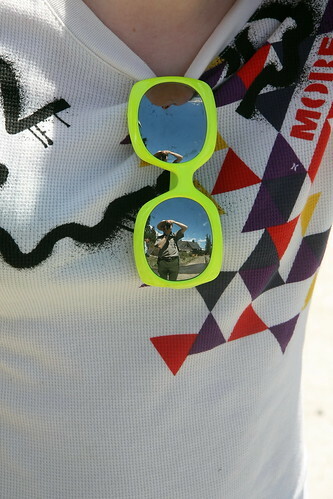 While we're on the subject of sunglasses, here's another shot from later the same day that also turned out really well. This one's a self-portrait! IMG_9694_adjusted_1, originally uploaded by The Bacher Family.